Finding rad stuff on Etsy.com is not only fun but rewarding. It's like this niche society of artists and crafters WHO TOTALLY GET ME. 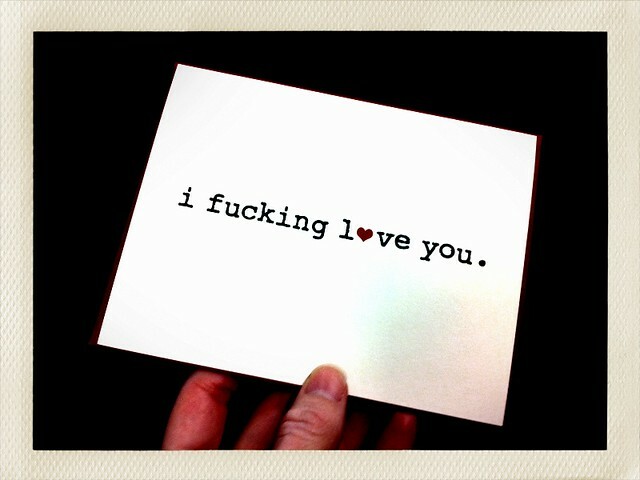 Hence, the following Valentine's Day cards I gifted Farilla. The inside of this card was extra awesome with the blue and red grid. 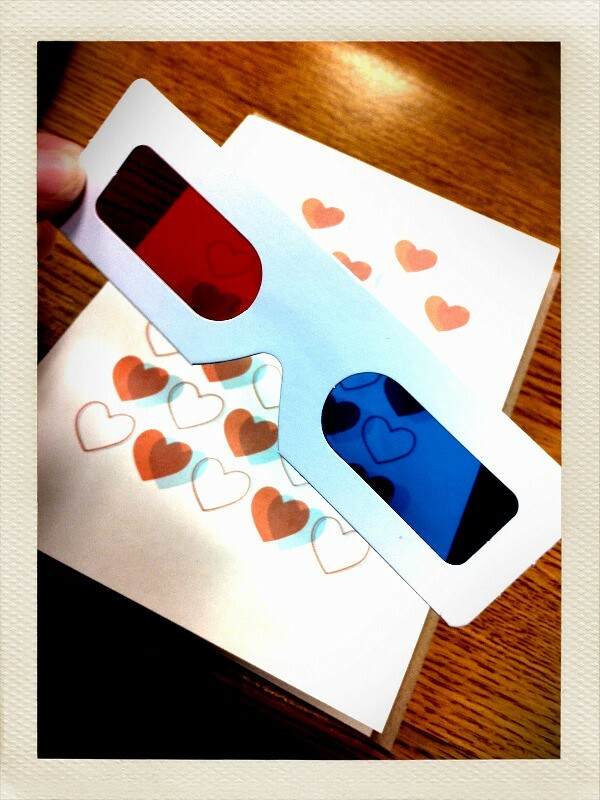 Write you message in black ink and (with your 3-D spectacles in place) said message appears to hover in space! Mathmagical!